realistic and accurate golf simulator in the world, XGolf simulator. Golf Instructor is in your service. Your Tour Van Experience. Master Clubmaker. The most professional repairs in Oregon! The most realistic golf simulator in the world. Play. Take a lesson. Get fitted. Practice. Pre-booked and paid XGolf Simulator play after store hours, too! Call Today! (503) 518-0085. Top-100 Club Fitter In The World. BirdieFinish Golf only represents the best golf club brands in the world. PXG, EPON, Miura, Calaway, Piretti, Ben Hogan, KZG, Wishon. All the clubs are perfectly fitted and build for each golfer. We guarantee the consistency and craftsmanship that only PGA Tour Vans are able to deliver to their clients. "Great instruction. I felt, he knew what I was looking to get out of my golf game and how I can get there. No pressure to buy new clubs or anything else, just instruction on how to better my game." "Excellent service, very knowledgeable. I have a four wood and sand wedge from BirdieFinish that I play exceptionally well with. All clubs modified with additional weight and grips at a great price. The simulator is better than any I've played. I highly Recommend this pro shop over and over again." "Jari is truly passionate about golf! He spent quite a bit of time teaching me about my new clubs and helping me select which clubs I will actually use and which clubs I can set aside for a while. I really appreciate his positive attitude and willingness to teach and talk about golf. I highly recommend him! Time to go try out my new clubs!" 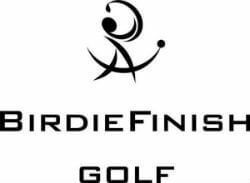 want to learn more about BirdieFinish Golf?